Yanying Zhang is a Visiting Scholar for the 2018-19 academic year, in residence at the Dean Rusk International Law Center. 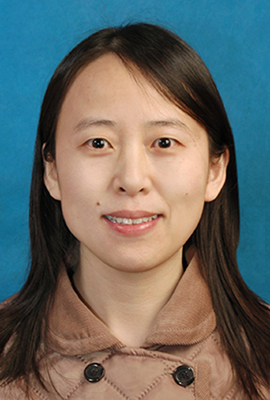 Zhang will continue her research on “Land Takings from the Perspective of Remedy: Problems Inspection and Systems Innovation,” funded by a grant from the Ministry of Education of China. Zhang serves as professor of law, graduate supervisor, director of the Comparative Law Research Center and vice dean of the Economic and Trade Law Department at Shandong University of Finance and Economics, located in Jinan, Shandong Province, in the eastern part of China. She earned her doctorate in comparative law from the China University of Political Science and Law, her master’s degree in law from Renmin University of China and her bachelor’s degree from Shandong Normal University. She has published numerous books and articles in her areas of research, which include comparative law, land law, contracts, torts, administrative remedies, dispute resolution and bilingual education, and she has received awards for her scholarship and teaching. She is a member of the China Law Society, a council member of the Shandong Law Society and a council member of the Chinese Society of Comparative Law.